Lucky 21 is excited to welcome Richard Krause to its directing roster. Krause is an award-winning director of commercials, music videos, and brand films for such clients as AT&T, Cisco, Duralast, Mercedes, Nvidia, and Orkin. Krause studied film and visual arts at the University of North Texas where he developed a body of work that showcased his eye for visual storytelling. After graduating, Krause directed content for Dallas Cowboys before moving to the Bay Area in 2007. There, Kause was a freelance director for companies, including Dolby, crafting brand-driven projects that marry striking style and compelling narrative. The ability to infuse high production value in everything he creates has been a hallmark of the filmmaker, whose understanding of visual effects, editing and post, adds depth and dimension to each collaborative endeavor. Grit, intelligence, skill, strength and patriotism are just a few of the many qualities exemplified by the Cadets of the U.S. Air Force Academy as seen in a new spot aimed at students who have what it takes to become a part of this prestigious institution. The project was directed by Jeff Bednarz for agency GSD&M and filmed on location at the campus of the Academy, a National Historic Landmark where over 4,000 students participate in military training, academics across 32 disciplines, as well as athletic and character development programs. The campaign includes a :30 for broadcast, as well as social media companion pieces. BY THE COAST came to fruition by fate and Instagram, when Fischer posted the early stages of a song in development. Fischer very nearly deleted the post, but not before it caught the ears of Box who is known for incorporating subtle piano into emotive, sweeping arrangements. From the digital space to the real world, a collaboration between the two artists came about organically and effortlessly, transforming from one song to many. With the collaboration sparked via Instagram, it seems fitting that visuals were always an essential part of the expression of BY THE COAST, who found a co-conspirator in Lucky 21’s Andrew Ryan Shepherd. Working with Box and Fischer was a welcome opportunity for Shepherd, a musician-turned-director for whom audio and image are inseparable. To create the dreamlike atmosphere in “Ghost,” Shepherd turned to his friends at Lucky Post to shape the video’s edit, color, and visual effects. Production company Lucky 21 is proud to welcome Augustine Frizzell to its director roster. Frizzell’s debut feature film Never Goin’ Back World Premiered at Sundance 2018, recently screened at SXSW, and was been acquired by A24. With Lucky 21, Augustine will apply her signature directing talent, where character and performance shine, to branded and commercial projects. 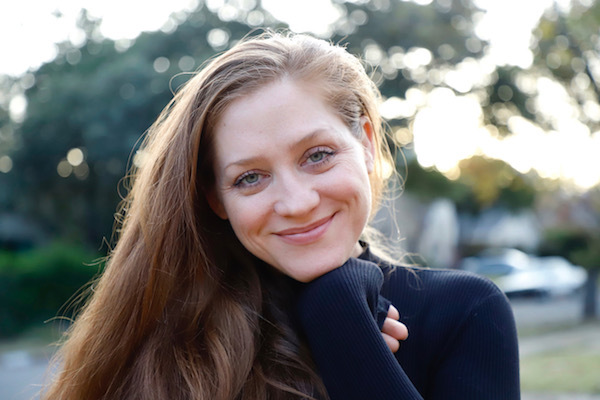 Writing, which began as a private escape, eventually came to the fore in short films she also directed - Minor Setback, I Was A Teenage Girl, and Clean, which premiered at SXSW. This led to the development of the spirited, big-hearted Never Goin’ Back, semi-inspired by her own youthful misadventures, which will be released by A24 this year. “We are thrilled about this partnership. We love telling stories, whether the form is a full length feature or a 30 second spot, and we can't wait to spin some new ones in collaboration with Lucky 21," comments Sailor Bear.